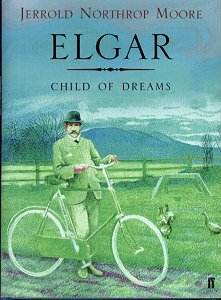 Jerrold Northrop Moore is the respected author of probably the finest biography of Elgar, Edward Elgar, A Creative Life (Oxford University Press � first published in 1984). He has also written a number of other books on the composer including the invaluable Elgar � A Life in Photographs (Oxford University Press 1972), alas no longer available. Northrop Moore�s new book, represents a half century of thought and study. He asserts that the English countryside fills Elgar�s music (you only have to stand on the Malvern Hills and let the music of the Introduction and Allegro, for instance, run through your mind, to realise the truth of his assertion). As Moore says in the concluding paragraph of this analytical opus, "The country had filled Elgar�s music as it had filled the greatest English art. It is a pastoral vision reaching back through Samuel Palmer and Turner and Constable, through Keats and Coleridge, Wordsworth, through Shakespeare and Chaucer and the long horizontal lines of English churches and cathedrals, perhaps to the misty heritage of King Arthur about Tintagel. This was the heritage that shaped Elgar and his music, and that touches his music�s audience still." Jerrold Northrop Moore examines the first tune Elgar wrote. This he calls the �Broadheath tune�. He then shows methodically, meticulously how this tune developed through childhood hope and innocence to its final place in the bleak, forbidding fifths opening of the Third Symphony, left uncompleted at Elgar�s death on 23 February 1934. On the way he shows how that tune influenced later works and led Elgar onwards with growing confidence, through his mature works like: Gerontius, Introduction and Allegro, the two symphonies, the Violin Concerto, Falstaff to the chamber works and his last major composition, the Cello Concerto; and how so many of these works influenced those that followed. It is a fascinating and remarkable feat of scholarship. It should be said though that sometimes it is scholarship worn heavily. The book makes demands on its reader. It requires concentration and commitment and a grasp of technical fundamentals. Often Northrop Moore�s flowery literary prose style runs away with him at the risk of clarity. Perhaps he might consider committing his theories to a recording with plenty of musical examples as an alternative medium for those music lovers who might find difficulty in grasping all his ideas?